To Boldly Build | Spaceship! Spaceship! Spaceship! 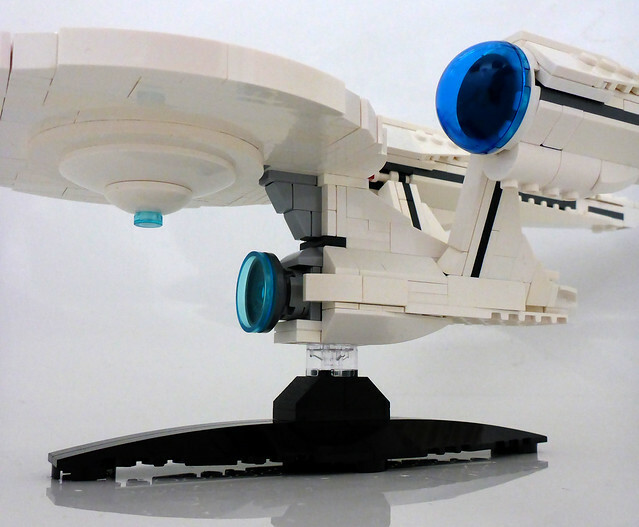 Star Trek is not a subject well served by the medium of LEGO. Its spacecraft are made of elegant curves and flimsy appendices held together with spindly pylons that defy the blocky medium of LEGO. Which was why when I saw this recreation of the USS Enterprise from the rebooted Star Trek by Riskjockey my jaw literally fell to the floor. At a tiny scale it successfully captures the poise and attitude of the subject AND it holds those massive warp drives up with just a few clips. In fact I admired this so much I went and copied it. 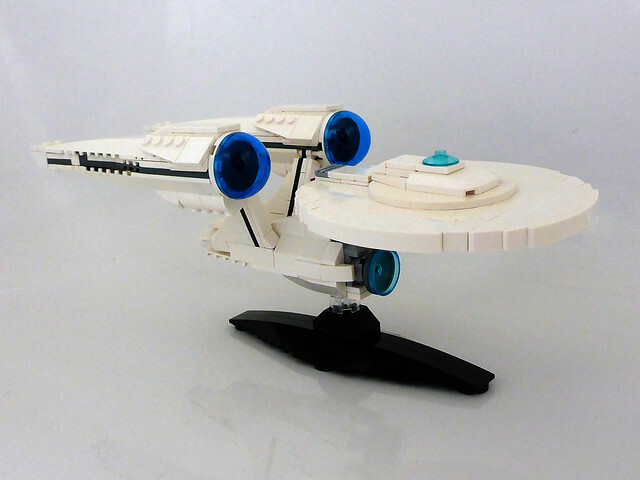 This entry was tagged microscale, MOC, star trek. Bookmark the permalink.